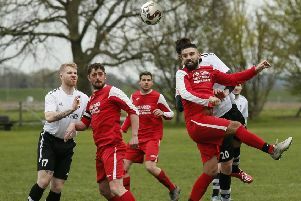 AFC Kempston Rovers begin their ChromaSport & Trophies United Counties League Premier Division campaign with a home fixture against Yaxley on Saturday. The two teams shared the spoils last season, with Rovers winning 2-0 at home, before Yaxley got their revenge with a 3-0 victory in the reverse fixture. Rovers have enjoyed an encouraging pre-season campaign, with four wins from their six friendlies, and they will be looking to continue the form which saw them pick up two 4-1 wins in their last two outings. Following Saturday’s game with Yaxley, Rovers will be in action again next Tuesday as they travel to Cogenhoe United for their second league fixture.